It looks rather forbidding in black and white. 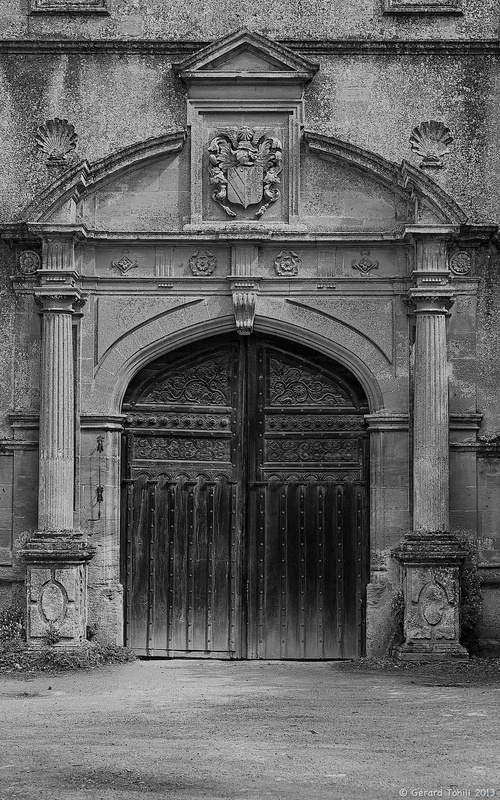 This is the gateway to Stanway House in the Cotswolds. In the sunshine, it actually looks quite colourful, because it is made from the local Cotswold limestone. I thought it had a lot more character as a black and white image though.